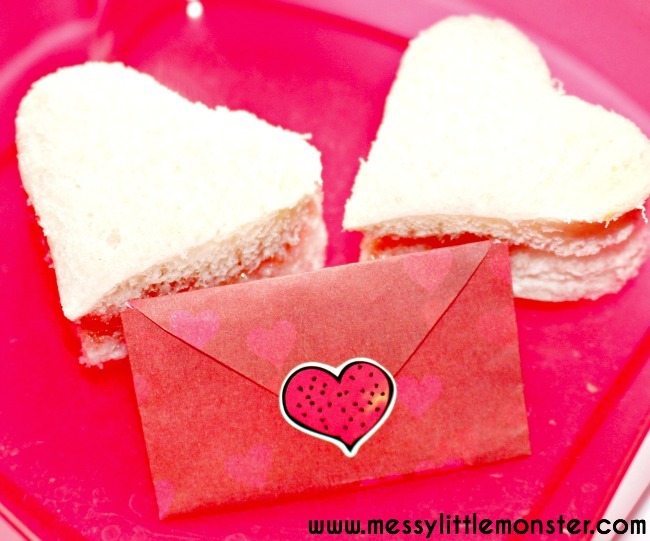 Surprise someone this valentines day by making a tiny folded heart envelope with a secret love note written inside. 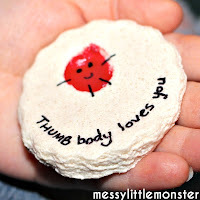 Using our free printable this simple paper craft couldn't be easier and it is sure to make someone smile. 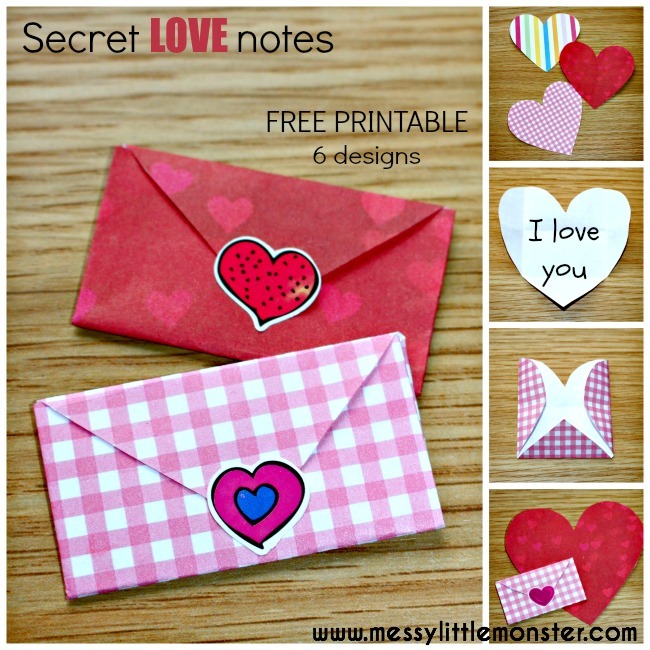 These love notes are small enough to be hidden in a loved ones lunch box or their favourite book waiting for them to find them! 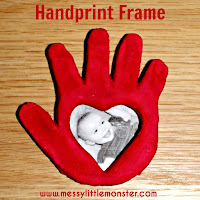 We have lots more heart craft and activity ideas for you to take a look at as well (including lots of free printables). 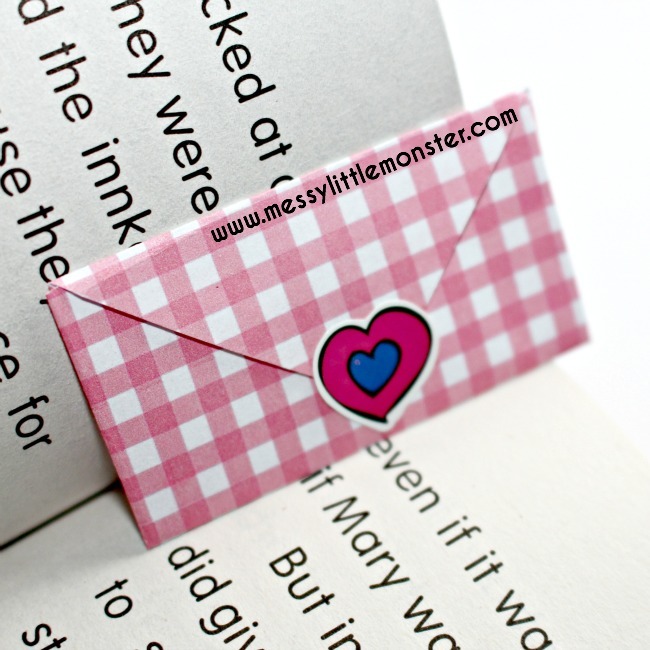 What better way to surprise a loved one than with a tiny love note! Over the last few days I have enjoyed writing secret love notes for Harry (aged 4) and I have hidden them in lots of unusual places for him to find. 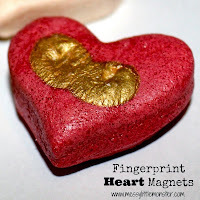 He has loved finding them and reading the secret messages I have written especially for him. 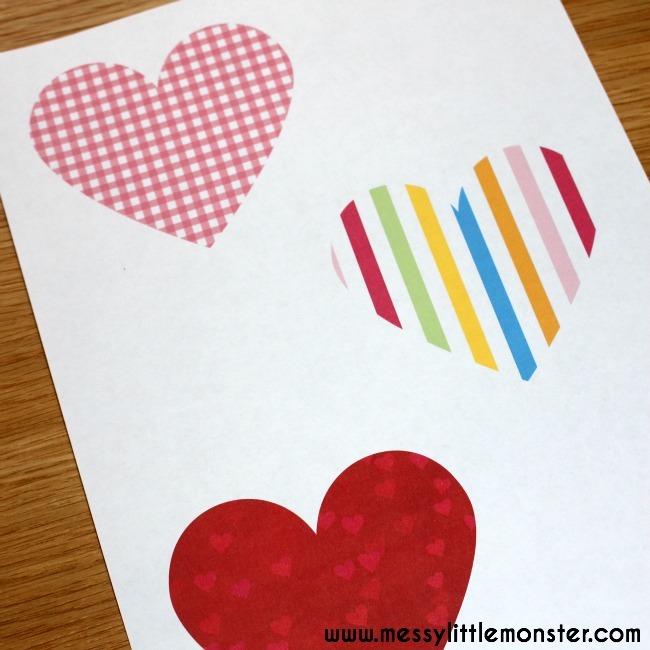 Scroll down to download and print out our heart envelope printable. 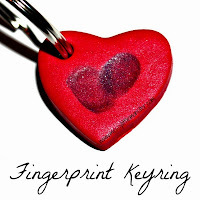 It has 6 different heart designs for you to choose from. 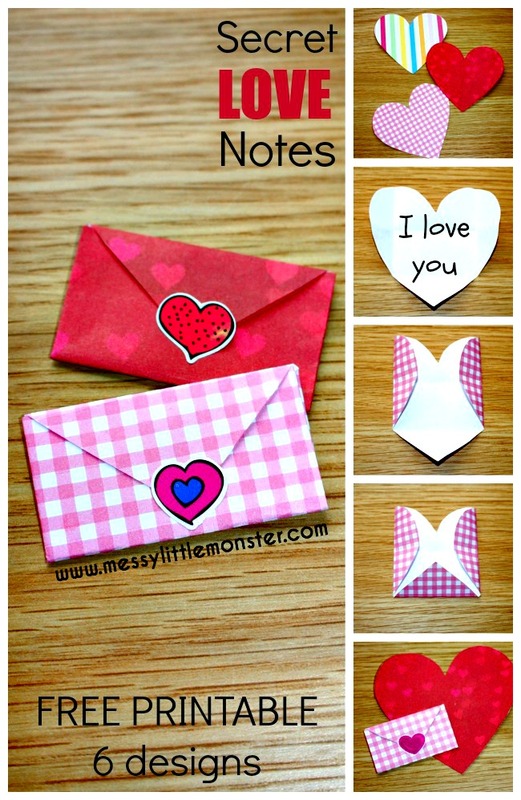 Cut out the hearts and write your secret message on the blank side of the heart. 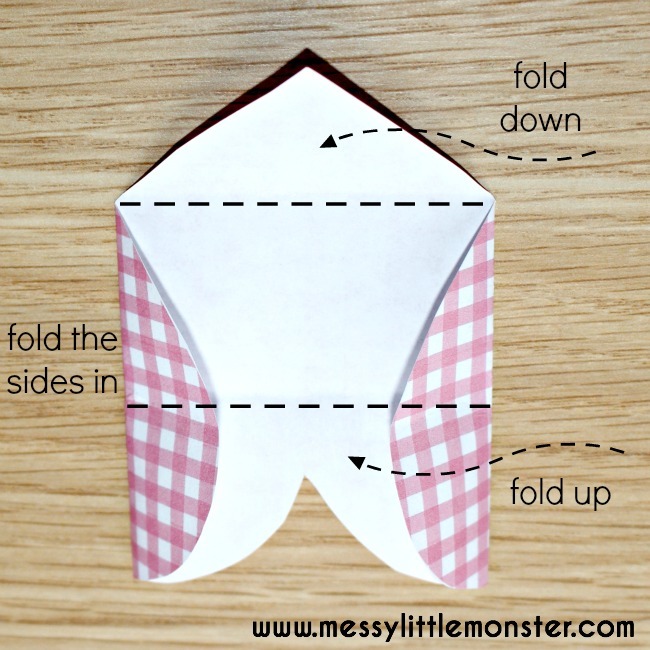 Fold the sides of the heart in. 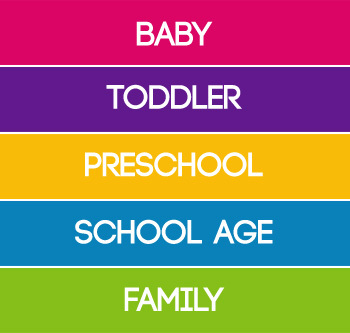 Fold the top and bottom of the heart towards each other as in the image below. 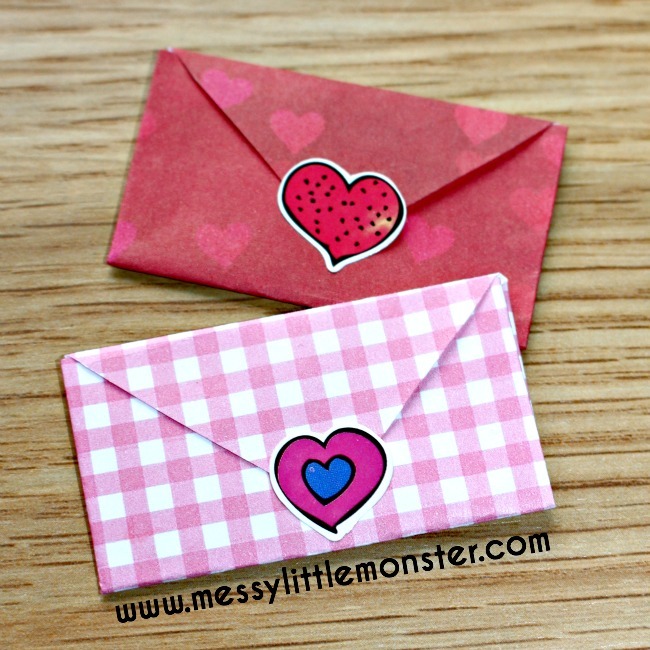 Close the heart envelope and seal with a small heart sticker. 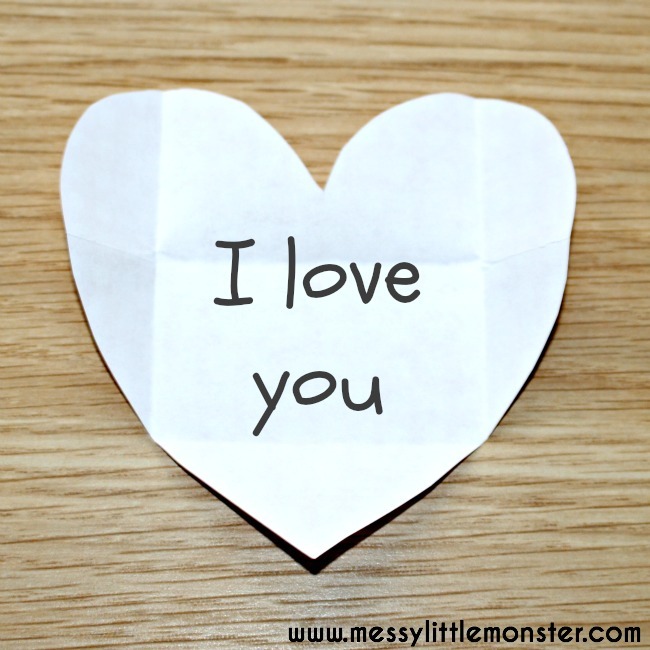 Once you have made your secret love notes get creative and hide them in unusual places for people to find. 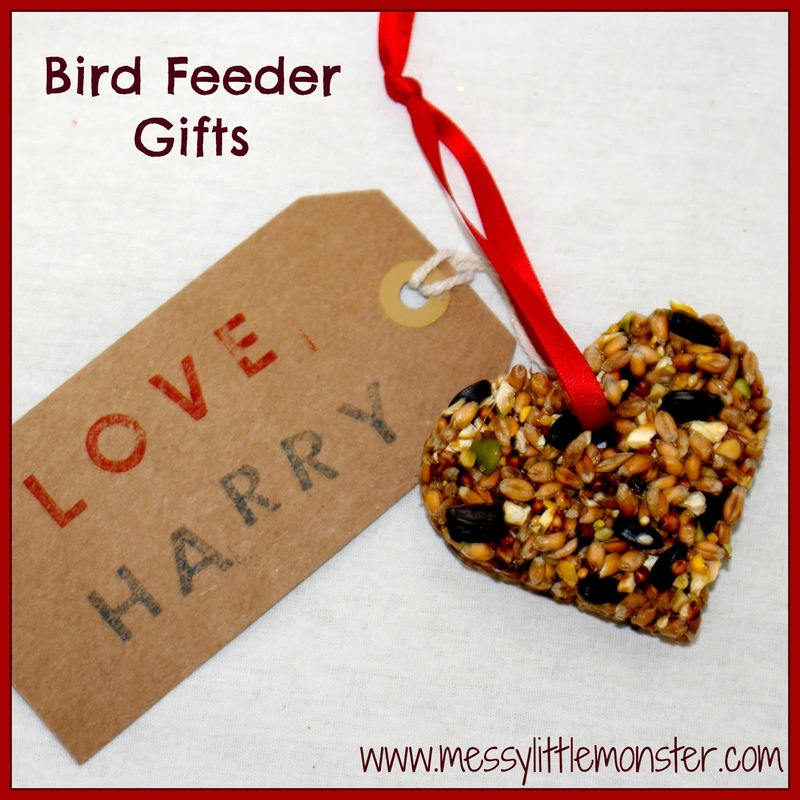 Add them to a loved ones packed lunch. 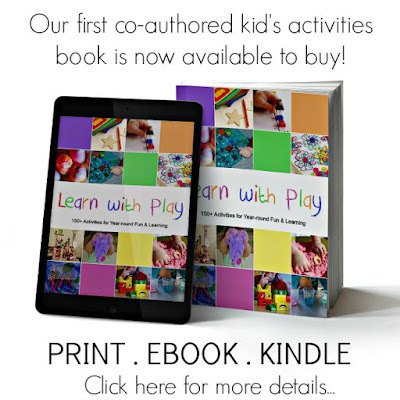 Hide them in a book or leave them on someones pillow for them to find before bed. 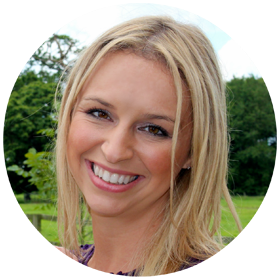 You could even leave kindness notes for strangers to find! Have fun and enjoy making someone smile. 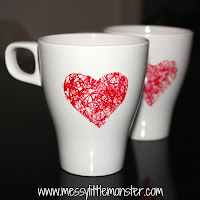 This month Toddler Approved and Coffee Cups and Crayons are hosting their 100 acts of kindness challenge and what better way to join in than surprise someone with a tiny love note!